Perfect for all types of cooking, this multi-pan from the new Joe Wicks range comes complete with a separate aluminium steamer suitable to comfortably steam your vegetables, fish or potatoes. Created from quality heavy gauge aluminium and featuring a non stick system for excellent food release and efficient cleaning after use, the non stick qualities also mean you can cook with very little or no oil for healthier cooking results. 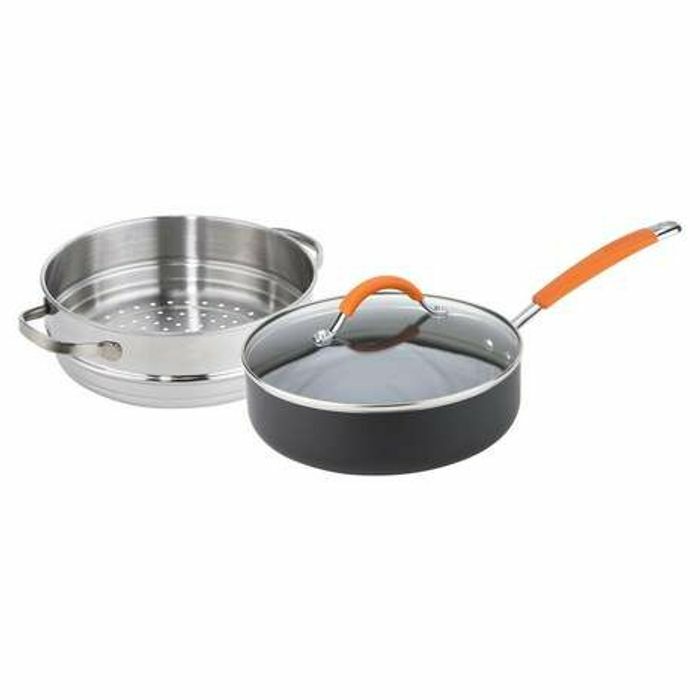 Boasting a sturdy double riveted handle for durability and a safe, comfortable hold this pan can easily be transported around the kitchen while cooking. Heat resistant up to 180°C this pan is suitable for use on all hob types including induction. Supplied with a two year guarantee.